Michigan continues to rack up commits on the recruiting trail as 2016 LB Dytarious Johnson (Prattville, AL) committed to the Wolverines. Johnson became Michigan’s second commit on Saturday, as 2016 ATH Chris Evans committed earlier in the day. 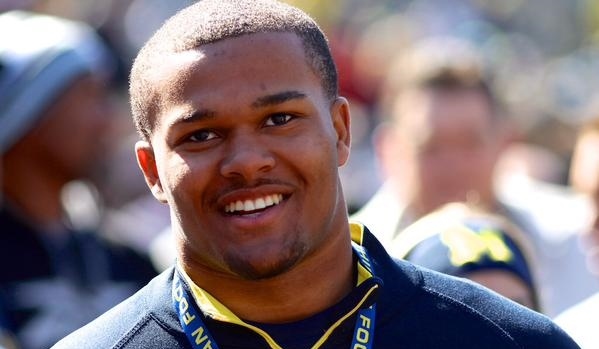 Dytarious becomes Michigan’s tenth commit in Michigan’s 2016 recruiting class joining; QB Brandon Peters, OT Erik Swenson, RB Kingston Davis, ATH Chris Evans, ATH Kiante Enis, RB Matt Falcon, LB Dele Harding, OG Michael Onwenu, and FB/LB David Reese. He also becomes the third recruit (Keith Washington, Kingston Davis) that Jim Harbaugh’s coaching staff has been able to pluck out of the talent rich state of Alabama. Dytarious is Michigan’s third linebacker commit in 2016 and the coaching staff will likely continue to recruit the position as they stand in good order with multiple recruits, such as; Caleb Kelly (Fresno, CA), Dontavious Jackson (Houston, TX), Camilo Eifler (Oakland, CA), Jonathan Jones (Orlando, FL), and Devin Bush Jr. (Hollywood, FL). There is a good possibility that Michigan could take as many as five linebackers in this year’s class.